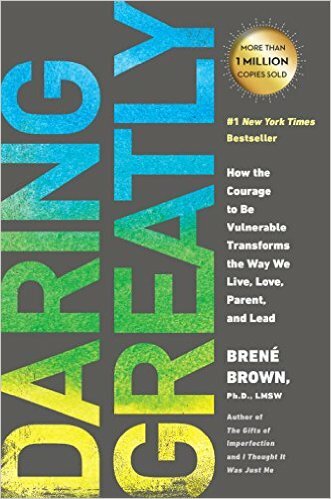 In this bestselling book Brené uses decades of human research to dispel the myth that vulnerability is a weakness. The blurb on the back of the book puts it like this – “Daring Greatly is the culmination of twelve years of ground-breaking social research …It is an invitation to be courageous; to show up and let ourselves be seen, even when there are no guarantees.” This is about showing up and letting ourselves be seen, imperfect though we are. She says that being vulnerable is not a choice. The choice is only how much we engage with our vulnerability, from courage and clarity of purpose on the one hand to fear and disconnection on the other. The participants’ willingness to be vulnerable could be seen as the catalyst for their courage, compassion and connection. But why do so many of us find it difficult to engage with our vulnerability? Brené uncovers many of the reasons and discusses these with research evidence, examples and anecdotes. For example, if we have been or expect to be shamed then we won’t risk being seen. If we’re only measured by what we know then we won’t reveal who we are. If we see being ordinary as shameful then we make up a bigger life for ourselves to feel worthy of love and belonging. She spends some time talking about scarcity when we believe we are never – good/perfect/thin/rich/successful/smart – enough! So we’re caught in this space of comparing ourselves to others, feeling ashamed of who we are and then disengaging from meaningful relationships. In this book Brené goes on to show that “to feel is to be vulnerable.” She defines vulnerability as “uncertainty, risk and emotional exposure”. During her research she asks participants to share times when they felt vulnerable and these are a few of the responses: Standing up for myself, sharing an unpopular opinion, asking for help, starting my own business, saying “I love you” first, getting fired, falling in love, getting promoted and not knowing if I’m going to succeed, admitting I’m afraid, the first date after my divorce, being accountable and asking for forgiveness. For many it was about letting go of control, scary but liberating. 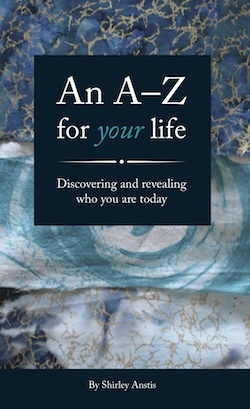 The book goes on to explore understanding and combating shame so that we are freer to be ourselves and the options become more than hide ourselves, please others or fight them. We are good at keeping busy, avoiding and numbing ourselves – most of the time we don’t know how we feel. She goes on to show how we can increase our feelings of worthiness, connection and belonging whilst combating feelings of shame. These are applied to men and women, couples, families and the workplace. I recommend this book if you would like to dare greatly and live a wholehearted life.